Any qualified locksmith is able to do the lock and key job you need to be done, so why is it so important to find a locksmith near me in the Atlanta area? It’s definitely more than a factor of buying local to support local businesses. Calling a local locksmith when you need the services of a professional is the smart thing to do when safety and convenience are important. Qualified, professional locksmiths handle a wide range of services that can be performed at any time, but people often call a locksmith when something has gone wrong. When something has gone wrong, and you are in an emergency situation, you don’t have time to waste. Many national professional locksmith companies often advertise locally, sometimes even using a local area code. They present themselves as being local, but when you call for help, your call is redirected to a national call center. These call centers will then give you an inexpensive minimum quote and tell you that a locksmith is on the way. 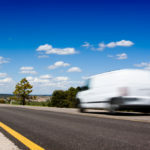 What they don’t tell you is that they have dispatched a subcontracted locksmith, sometimes one who is new or under trained, and will take a long time to arrive. If they finally do arrive, they quite often will damage your locks or vehicles and then charge you way over the quoted price. 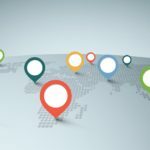 These national companies do not have any incentive of building a relationship with clients like a truly local company does. When you are stranded in a dark parking lot or roadside late at night, or even outside of your house or office, and need the help of a locksmith, you need help in a hurry. You do not want to wait for someone to arrive from miles away and cannot take chances on sitting around in a troubled spot waiting for help to arrive. When you call a locksmith nearby, help is on the way in no time. Your safety depends upon it. Besides showing up when you need them, local professionals, like Locksmith Atlanta technicians, care about their clients. The time it takes for us to show up, and the skill used to perform your locksmith need is what you will tell your friends, who are no doubt also local. We work hard to build a trusting relationship with our clients so you will call us for other locks and keys needs and will share your experience with other locals who will call us when they need us as well. Even if it’s not an emergency, knowing that a professional locksmith nearby is on the way means that the wait time is cut by seconds, minutes, and even hours or days. Get keys duplicated, locks re-keyed or changed, have a safe, keyless entry or security system installed, get inside your home, office, car, or get your trunk opened without any damage to your locks, in a matter of minutes not days. Research and store the number of a trusted locksmith service in your area before you need it. Then, when an emergency arises, simply pull out the number and give the nearby locksmith a call. 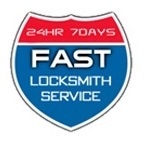 Locksmith Atlanta will show up in 30 minutes or less to help.